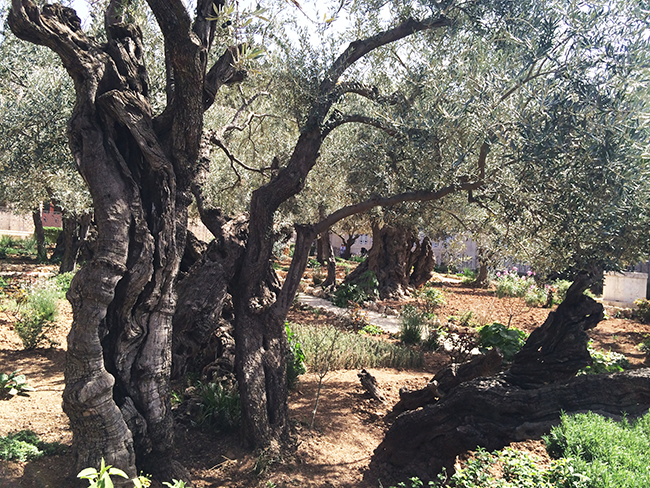 The olive grove mentioned above is the Garden of Gethsemane. In this garden is where Jesus, just before his arrest said to Peter, James and John, “My soul is overwhelmed with sorrow to the point of death,” (Mark 14:34). Jesus knew the crushing heart feeling. He felt it. He wrestled with it. He carried it. The olive tree needs both of these winds to produce fruit… and so do we. We need both the winds of hardship and winds of relief to sweep across our life if we are to truly be fruitful. Another thing to consider about the olive tree is how naturally bitter the olive is and what it must go through to be useful. In October if you were to pick an olive from the tree and try to eat it, its bitterness would make you sick. It is a lengthy process to be cured of bitterness. If we are to escape the natural bitterness of the human heart, we have to go through a long process as well… the process of being cured. The final thing I want to consider about the olive is not just how bitter it is, but also how strong and hard it is when picked straight from the tree. If you are harvesting olives for oil, you must pray for a soaking rain to come if you hope to get oil from the olives. It needs a hard rain of at least 2-3 hours so the water can make it all the way up the roots, through the tree, and to the olives. Then the olives can be picked and preserved. And the best way to preserve an olive for the long run? Crush it and extract the oil from it. The same is true for us. The Biblical way to be preserved is to be pressed. And being pressed can certainly feel like being crushed. Crushing is the way of preservation for the olive. It’s also the way to get what’s most valuable, the oil, out of the olive. Keeping this perspective is how we can be troubled on every side yet not distressed… pressed to the point of being crushed but not crushed and destroyed. I think I need to revisit this truth often. And when I’m being crushed I forget it’s for the sake of my preservation. Maybe God knew we all would. Oh Holy Spirit, speak to us in whatever way You need to. Whatever part of this is for us personally, may we see, receive, and be revived.